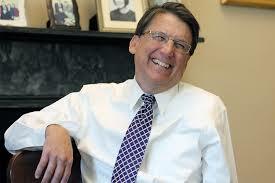 McCrory is a liar - plain and simple - or he's too dumb to read and understand the law he just signed. His choices are to dig in his heels and continue lying or suddenly come out and say he was "mislead" about what was in the law, trying to deflect the spotlight to Speaker Moore. Criticism of the law continues to roll in - this piece highlights part of the law that would impact every employee in North Carolina. It doesn't happen often, but when an AG knows a law is unconstitutional he can choose not to defend it. A SENSIBLE legislature gets better legal advice BEFORE passing sweeping legislation like this...it doesn't push it through hurriedly simply because ALEC and Art Pope say to do it. Cooper is toast, This issue alone will cause him to lose next November. Vitriolic invective and personal insults aimed at your political opponents seems to be the stock and trade of many who post here. There are good arguments to be discussed, both pro and con, on the merits of HB2 or the lack thereof. But most partisans just resort to over-the-top name calling rather than a rational, measured debate. Such harmful diatribes should be condemned, but I doubt one will find much of that on this blog. Good "Pro arguments" for HB2? Please, illuminate using your most non-partisan, rational, measured explanation. Rex, I might if I thought you could resist the personal insults and invective when you find we do not share similar views or values. In the meantime, there is a good debate on these issues currently going at PoliticsNC. Most posters there are liberals, but there are one or two articulate conservatives posting there. So be warned-- you might be exposed to those with a different point of view from conventional liberal wisdom. Still waiting for those good "pro arguments". Please don't project your "insults and invective" onto me. "Conventional liberal wisdom" is wisdom. On that point, I agree. DR, looks like another condescending conservative who comes on here to "educate" and insult us, but then runs away pretty fast!